Fast Dawn Communications is a solutions and results-focussed consultancy. We take a strategic and holistic approach to delivering integrated marketing, communications and stakeholder engagement. We work with a wide range of experienced associates and talented freelancers to give you the right team for your project. Our first priority is to understand your goals and identify the role of communications, marketing and stakeholder engagement in the success of your organisation. Following a free face-to-face consultation we will provide a quote costed either on a daily rate or total project fee. We will develop a strategy for your project and bring in the right associates and freelancers to do a brilliant job for you. Where possible we use local, Croydon-based professionals and suppliers, to ensure costs are competitive but quality is high. Croydon is a thriving creative and tech hub – all the creative talent is on the doorstep! Good project management is key to the success of all marketing and communications strategies. We will provide a written plan for your project including a list of key milestones and evaluation methods. Regular contact reports will keep you updated and you will receive a final report on completion of the project with all the relevant metrics and analytics. 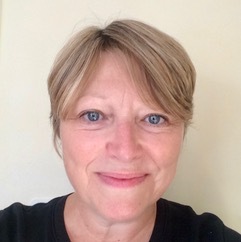 Fast Dawn is managed by Alison Scammell who has more than 18 years’ experience of marketing, communications and stakeholder engagement in sectors as diverse as government, technology, financial services, transport, infrastructure, housing, health and culture. Alison has worked on major behaviour change and transformation programmes in both the public and private sectors, as well as ad hoc projects for start ups and SMEs.